Minister Alan Kelly has said he expects “a reinvigoration in customer focus”. MINISTER FOR THE Environment Alan Kelly has said that he expects Irish Water to carry out a major overhaul of its treats customers. He has also called for the controversial bonus structure to be reviewed. Speaking this evening during a Private Members Motion from Fianna Fáil on water charges, Kelly said the utility needs to become a “customer focused and customer friendly organisation. “From both Ervia and Irish Water, I am expecting a reinvigoration in customer focus and to establish a much stronger relationship with the public,” he told the Dáil. “There has to be a seismic shift across the range of operations across Irish Water. Government is committed to giving clarity and certainty to people surrounding their water bills. This is absolutely going to happen. He noted that the upcoming reform of the boards of Ervia and Irish Water will “reinvigorate the organisation”, and he called on the new board to “review the application and operation” of the Ervia Group’s pay model. 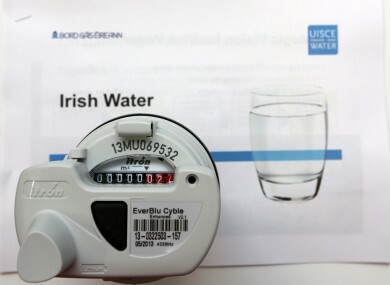 In a wide-ranging speech, the Minister expressed criticism of the €188 call-out charges Irish Water has proposed. I’d like to express a personal view that I believe this is too expensive but again I would point out that this issue is not finalised as it will be subject to approval of CER. One of the major fears of the public surrounding the establishment of Irish Water that it could be privatised in future. However, Kelly has branded this as a “falsehood”. “Let me be perfectly clear on this issue – Irish Water, and public water services, will remain in public ownership,” he said. The Government stated this at the start of its water reforms, it has stated it throughout the reform programme, and it has demonstrated it through its enshrining of this very specifically in legislation. The law of this land does not allow Irish Water to be privatised. Period. He said the Government’s pursuit of water charges was justified, as an insufficient water infrastructure could hamper the delivery of services, and also Ireland’s prospects of attracting investment. Ireland was also put on formal notice by the European Union that wastewaster services needed improvement in 66 urban centres. Kelly said the cost of setting up the utility was also overseen by the Commission for Energy Regulation, noting that 5% of the costs were not approved. And what about the complaints of TDs that they were having to trouble getting in contact with the utility? “Steps will be taken urgently to address this issue,” Kelly said. cease any payment of bonuses within Irish Water. Fianna Fáil’s Barry Cowen called for water charges to be suspended, and that a review of the utility company is carried out. This evening’s debate also saw Anti Austerity Alliance TD Paul Murphy rip up an Irish Water application form in the Dáil chamber, encouraging members of the people to do likewise. He was told by the Cathaoirleach to refrain from such in the Dáil. “The one million of these [forms] outstanding is extremely significant,” Murphy said. “There’s talk of extending the deadline. It has already been extended,” he added, noting that this was outlined in a CER document from September. It is simply a ruse to try to get people in the system. Reports in several weekend papers speculated that a major overhaul of the board of Irish Water was on the way, although CEO John Tierney was quoted as insisting he was “going nowhere”. Speaking at Leinster House this morning, Fianna Fáil’s environment spokesperson Barry Cowen called for a suspension of water charges while a full review of Irish Water is carried out. “The whole emphasis has been a rush to charge without any preparation to charge,” he told reporters. The Laois-Offaly TD said that Tierney is being “scapegoated” and said the public “wouldn’t buy it” if he and the board were replaced. However Cowen did not rule out the possibility that the Irish Water board should be replaced after a review is carried out. They want to throw somebody under the bus again, having done the same to the likes of Commissioner Callinan and done the same when there’s furore within their own political party, Fine Gael, they wanted to throw some official from headquarters under the bus. Speaking yesterday, Fine Gael Minister of State Damien English said there would “structural changes” and that developments could be expected in the “next couple of weeks”. Jobs Minister Richard Bruton said, meanwhile, that “board structures” would be looked at in the context of the merger between Bord Gáis and Irish Water into parent company Ervia. Email “Irish Water to review how it treats customers (and, maybe, its bonus structure)”. Feedback on “Irish Water to review how it treats customers (and, maybe, its bonus structure)”.